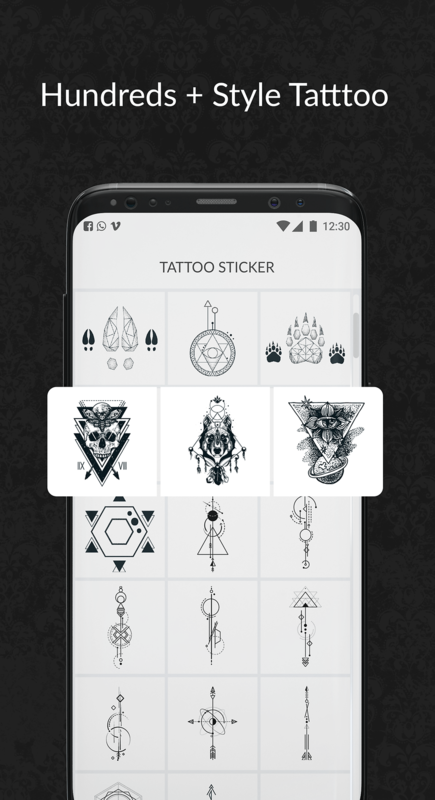 🌟 Now you can create your own tattoos and small tattoos that are becoming viral and popular, not only in art and design, but also in life. Tattoos are getting familiar with today's youth. Being tattoo artists, we hope tattoo worshop will bring you a different experience and perspective of the Tattoo maker and the tattoo maker is an idea application that built for young people who have passion for amazing tattoo designs and nostalgia. If you are passionate about tattoo and small tattoo idea, or simply in love with tattoo for photo then you should not ignore this app. Hundreds of different tattoo styles. The image crop feature is convenient for users. A punch of eye-catching and cute tattoos. The application is still in the developing, we are always looking forward to receiving your feedbacks and comments, we will definitely upgrade and develop more features as you demand. Sincerely thanks!